Please create your account and wait 24 business hours to ensure you're taking the correct exam based on your NOCP Level. We are verifying every account. We strongly advise if you have not made an account to make one now, even if you are not taking the exam until next week. 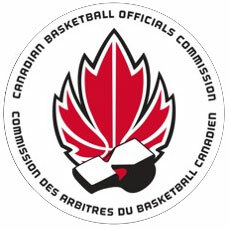 The 2018 FIBA Rules Exam will be available for all officials to take beginning November 30th at 12pm (EST) and will close on December 10th at 5pm (EST). The NOCP 1/Prospects FIBA Exam consists of 30 questions and the NOCP 2,3,4,5 exam consists of 50 questions. Officials will have 2 hours to complete the exam and are “Yes” or “No” questions. NOCP Level 1 officials will have access to take the NOCP 1 FIBA Exam with 30 questions. If a Level 1 official would like to move to NOCP 2 this year, they also have access to take the NOCP 2 FIBA Exam with 50 questions. However, you can only take 1 of the 2 available exams. Once you start in one of the NOCP exams you will not be able to access the other exam. NOCP 2,3,4 officials that are working towards advancing to the next NOCP level this year will still take their respective exams. If their results are at the standard for the NOCP level they are working towards (NOCP 3, 4, 5 = 86%) the exam results can be submitted and used. If I am NOCP level 2 and working on NOCP level 3 I will write the level 2 exam achieve 86% or higher and submit those results on the NOCP level 2 exam as I advance. summary complete with the review of the questions and results along with the FIBA articles and interpretations will be accessible on December 11th, 2018 on Game Plan. Your final mark will show once you’ve submitted your exam. There is a practice exam available if you would like to practice prior to entering the exam. Thank you again for your commitment to the game of basketball in Canada as well as your dedication to learning the FIBA rules and official’s development.